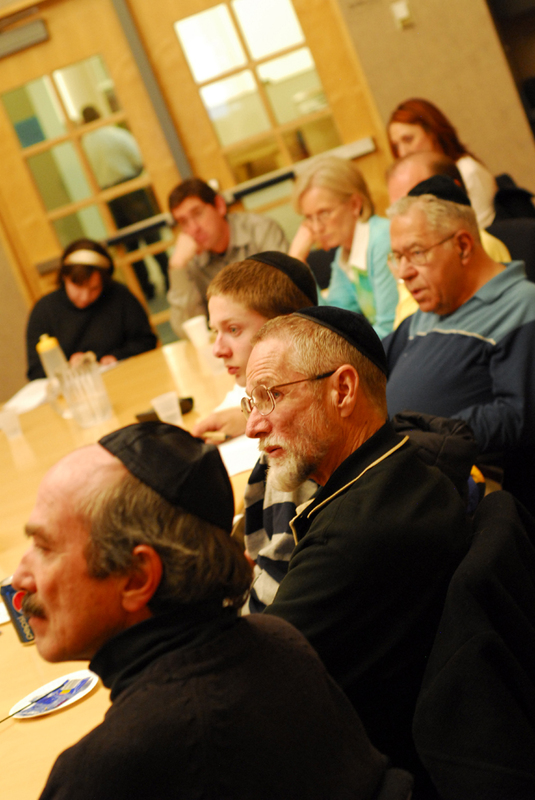 For years, Jewish affiliation was largely defined by synagogue membership and annual dues, but in the last few decades that reality has been supplanted by a trend of outreach with no strings attached – of community activists lowering the barriers of engagement to seek out and embrace Jews of all backgrounds without imposing stereotypical religious or social preconditions. What sparked this Jewish revolution? In the winter of 1950, during the immediate aftermath of the destruction of European Jewry in the Holocaust, a charismatic 48-year-old Rabbi Schneerson assumed leadership of the Chabad-Lubavitch movement, charting a mission to rebuild world Jewry from the ground up. His vision? To spread an appreciation for the infinite value and limitless potential of the individual and to demonstrate how every circumstance in life presents an opportunity for man to improve his society. The Rebbe’s pioneering efforts to reach out lovingly to every Jew on the planet and connect them with their Jewish heritage were soon being replicated across the Jewish spectrum. Today, Jewish groups of all kinds are actively engaged in some form of Jewish outreach activity. Beyond the vast Chabad-Lubavitch network that has grown to include thousands of humanitarian, social, educational, and religious organizations, with many outposts in remote regions, the Rebbe’s unique approach has deeply influenced Jewish life outside of Chabad and across the spectrum of Jewish affiliation. During his lifetime, many individuals from all walks of life sought out the Rebbe’s guidance and blessing, among them notable Jewish figureheads, including several Israeli prime ministers. In his 2012 address to the UN General Assembly, Prime Minister Benjamin Netanyahu spoke of the discussions he had with the Rebbe and the advice he received when he first came to New York in 1984 to represent Israel at the United Nations. On May 14th, Chabad of NW Metro Denver will mark the 20th anniversary of the Rebbe’s passing with an educational course, Paradigm Shift: Transformational Life Teachings of the Lubavitcher Rebbe, prepared by the Rohr Jewish Learning Institute (JLI). The course is a monumental contribution to the Rebbe’s legacy–the product of a collaboration of over forty scholars. It presents the Rebbe’s unique outlook and central contributions to Judaism and society, addressing questions such as: What was his understanding of the human being and what were his hopes for humanity? What stands behind the continued success of the Chabad-Lubavitch movement? And how can we apply these insights toward living a more purposeful life? Like all JLI programs, Paradigm Shift is designed to appeal to community members at all levels of Jewish knowledge, including those without any prior experience or background in Jewish learning. All JLI courses are open to the public, and attendees need not be affiliated with a particular synagogue, temple, or other house of worship.